Category: Fine-art print by Fran Slade. 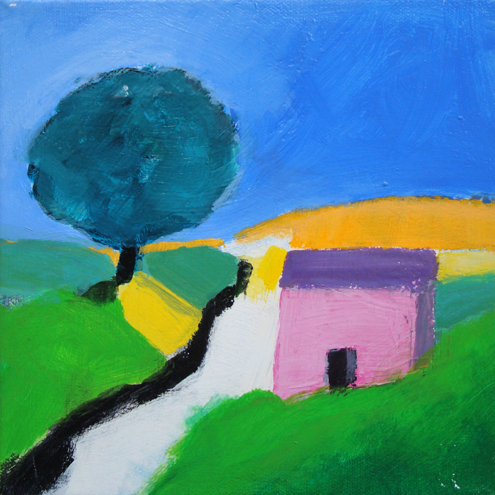 PINK HOUSE by Fran Slade. Signed and numbered Fine-art print. PINK HOUSE is one of the landscape and fantasy pictures from my mixed portfolio of giclee fine-art prints. 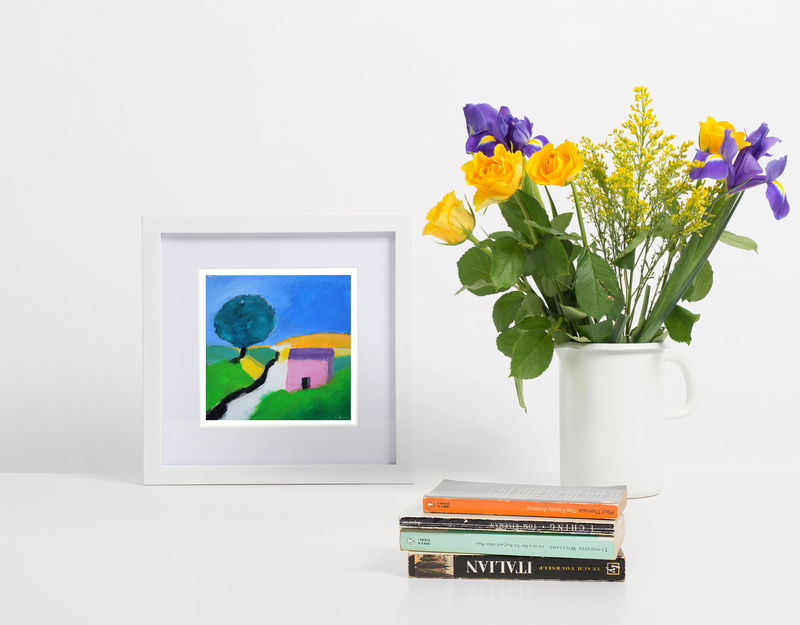 Printed on 280gsm Innova soft-white-cotton fine-art paper or fine art canvas. Archival inkjet print from original painting by Fran Slade. The International Certificate of Authenticity is included. This fine art print is sold to you without a frame. This has three big important advantages! You can choose the right frame. My choice might be wrong because I don’t know where you want to hang the picture. The print will arrive quicker, safer, and undamaged. Sending glass by mail is especially dangerous. The price is lower because you can get a much wider range of frames to suit you, closer to home saving on costs.